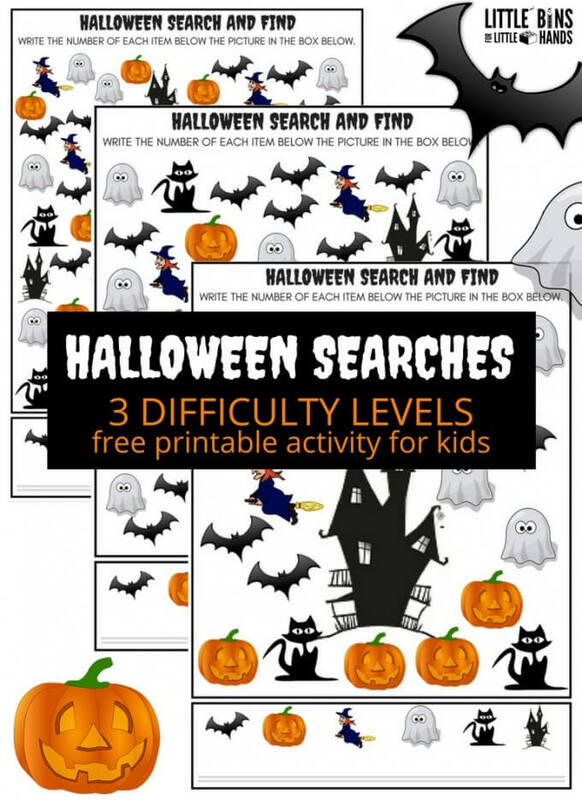 Our Halloween searches come in 3 difficulty levels perfect for several ages or abilities to work on together. Search, find, and count puzzles are always a hit around here and so easy to make for any holiday or season. My son has been planning his Halloween costume for the last month now, so I figured I might as well get a jump start on some fun activities for the month of October! 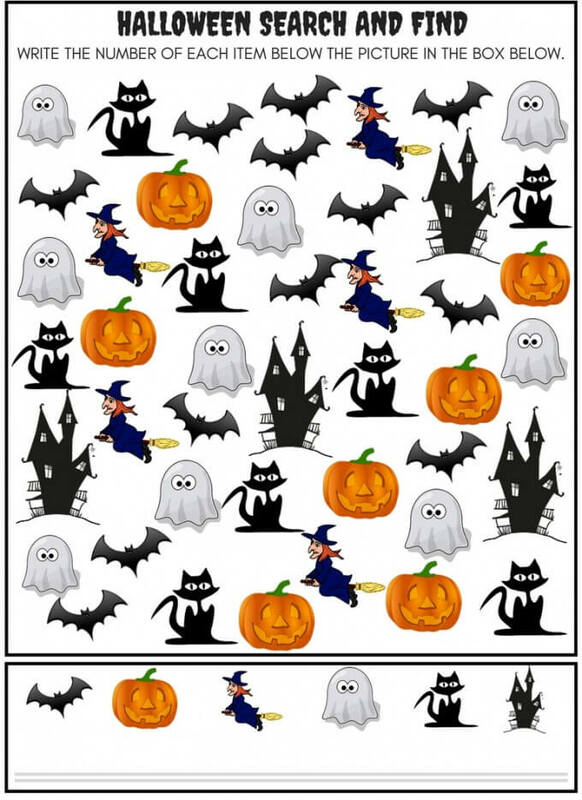 If you aren’t quite ready for Halloween yet, we have some other variations below! 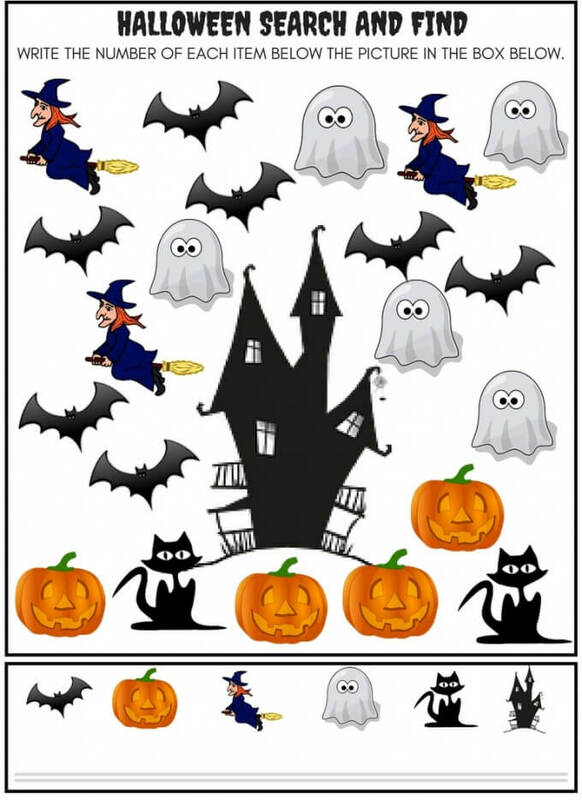 Kids have the opportunity to work on several important skills with these fun Halloween searches! Visual processing skills, fine motor skills, and math skills. They are terrific for kids who like to spot things and count things, but they are also great practice for kids who have to practice these skills. Adding a fun theme and characters make these Halloween searches feel more like play than work! Below you will see the three levels for easy, medium, and difficult. You will also see the download here button towards the bottom or click on any of the photos to get your copies! The number count is lower and images are bigger for easier searching and counting without becoming overwhelmed. The images are smaller and there are more of them which makes it more challenging than level 1. Many more images fill the whole space! Good luck with our most challenging level! Feel free to print as many as you like for home, group, or classroom use! Please share the direct link to the post rather than the download file with others. This way, you can directly support this website, and I can provide more fun activities! 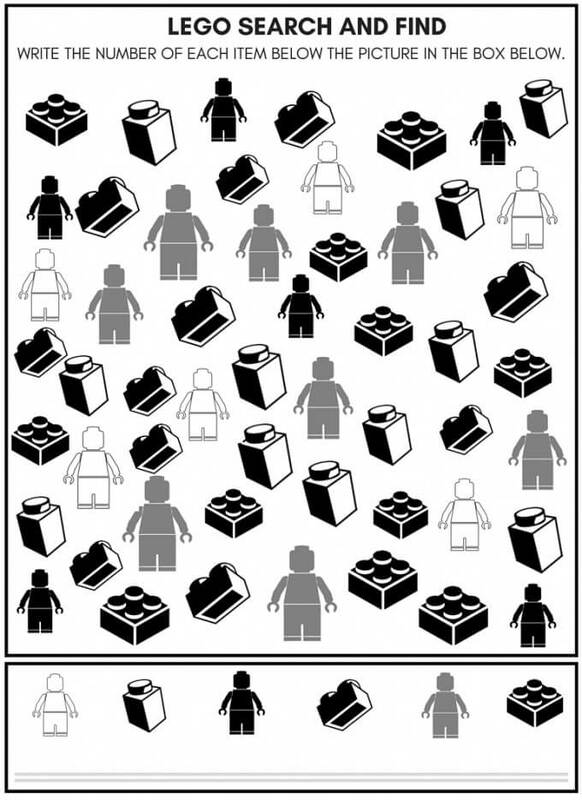 Print in black and white if you need to do a large number! Laminate each one for multi-use which will save paper and ink! Encourage kids to look for one item at a time if they are having difficulty. Suggest they put an “x” though one type and then circle another type. They can use a different method to count each image. 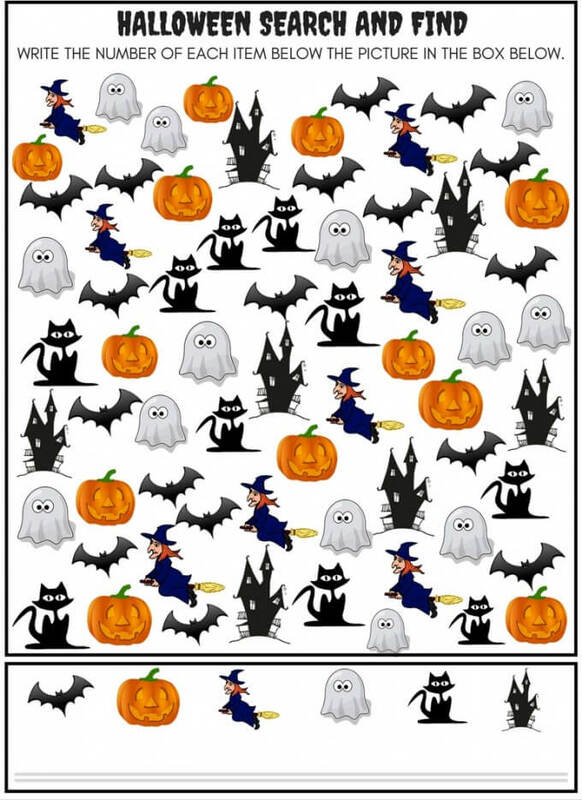 Draw a square around the cats, circle the pumpkins, cross out the ghosts, etc. 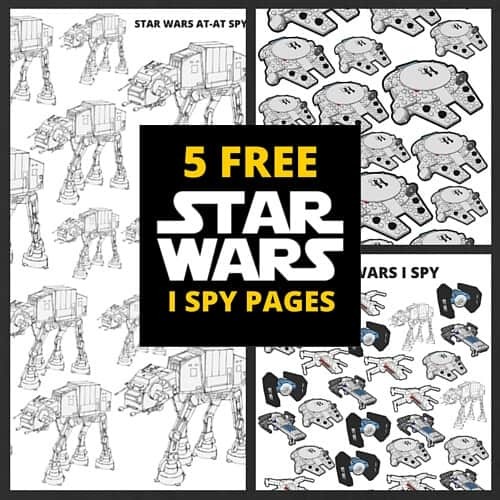 MORE FUN WITH SEARCH AND FIND PRINTABLE SHEETS! Click on photos. 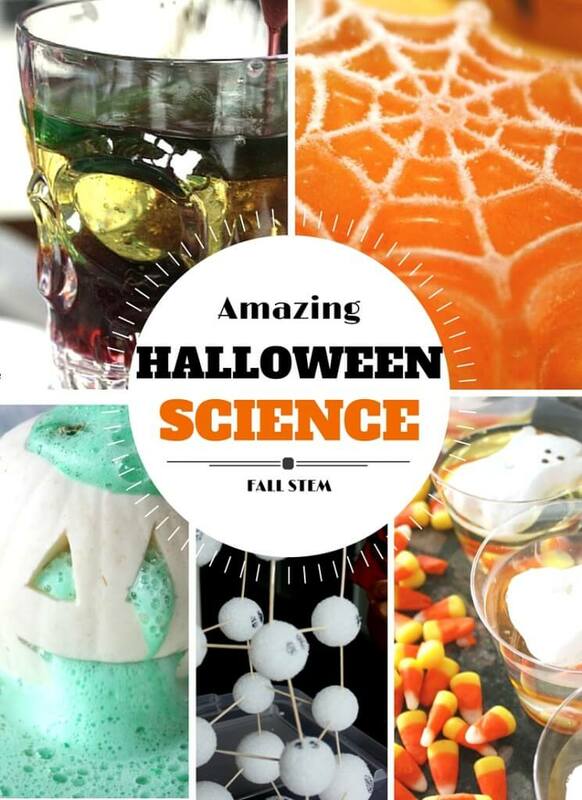 AWESOME HALLOWEEN STEM IDEAS! Click on photo.